Please select a size. EU 41 - In StockEU 41 ½ - Low StockEU 42 ½ - In StockEU 43 - In StockEU 44 - In StockEU 44 ½ - In StockEU 45 - In StockEU 45 ½ - In StockEU 46 - In StockEU 46 ½ - In StockEU 47 ½ - In StockEU 48 ½ - In Stock Please select a size. 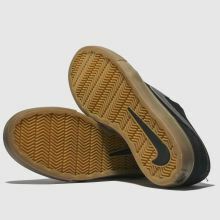 Nike Skateboarding deliver everything you need to up your skate-style looks this season. 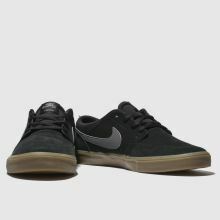 Boasting a sleek black and grey suede upper with Swoosh branding, the Portmore II Solarsoft profile ticks every box you need for the ultimate boardfeel.